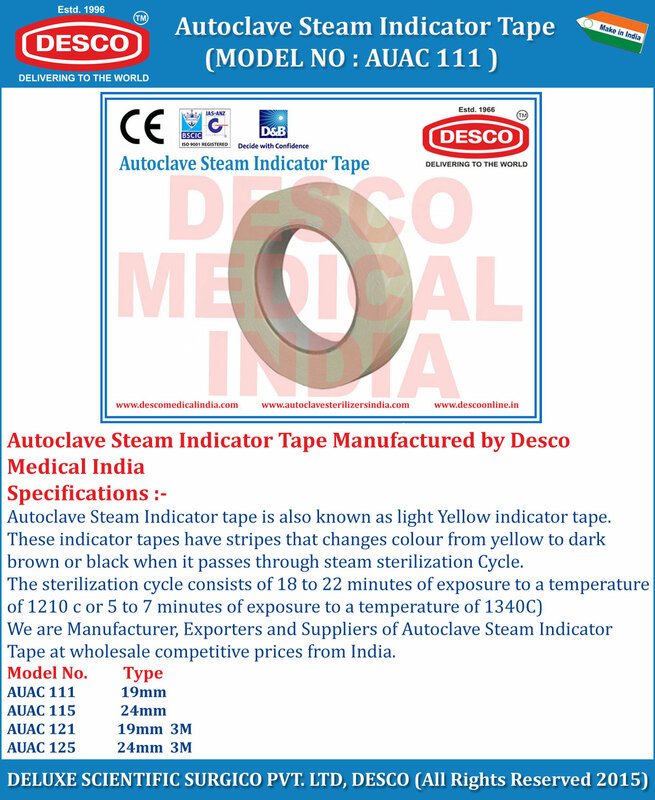 Autoclave Steam Indicator tape is also known as light Yellow indicator tape. These indicator tapes have stripes that changes colour from yellow to dark brown or black when it passes through steam sterilization Cycle. We are Manufacturer, Exporters and Suppliers of Autoclave Steam Indicator Tape at wholesale competitive prices from India.